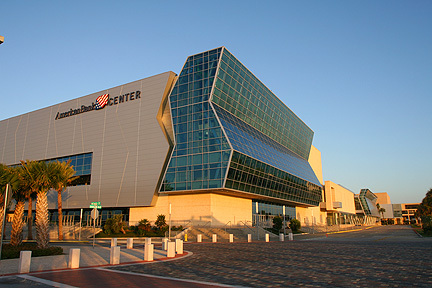 Corpus Christi is one of the most understated destinations in Texas and, in fact, in all of the U.S. A. There are a few things you can’t do in Corpus, snow skiing for example, but otherwise whatever your idea of fun, pleasure, excitement, or relaxation, Corpus Christi has it all. 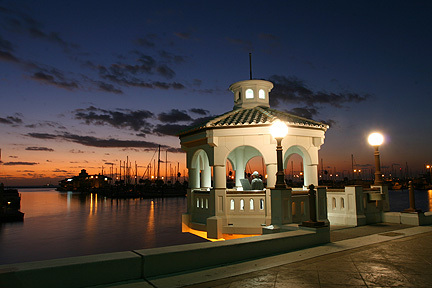 The City of Corpus Christi lies along the southwest bank of Corpus Christi Bay, one of the most magnificent bodies of water anywhere. I37 from San Antonio releases travelers downtown Corpus near the port, a good place to start the Great Corpus Christi Adventure. Downtown is dominated by the Harbor Bridge (Napoleon’s Hat to locals, a nick name derived from the way the bridge looks at night from the bay). The bridge links downtown with a strip of land called North Beach, or more recently dubbed Corpus Christi Beach, and points further north along the coast. North Beach was once a ramshackle beach bum community but is now the home of the Texas State Aquarium, The WWII aircraft carrier USS Lexington, nice hotels, condos and tourist shops. 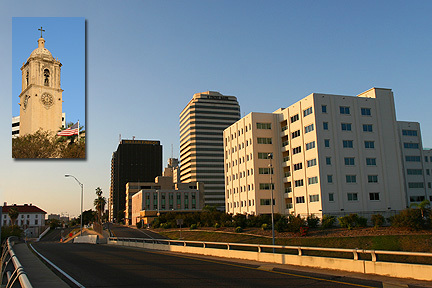 Downtown Corpus Christi, across the ship channel from North Beach, is dominated by the twin towers of One Shoreline Plaza which houses an exclusive hotel, restaurant, and offices. An assortment of other high-rise buildings dominate downtown both along the waterfront and beyond the bluff that overlooks the bay. But it’s not the skyline that makes Corpus Christi so special. All eyes turn to sea and forget fancy buildings once a traveler arrives on the Bay Front. Bobbing sail boats, sparkling water, a pristine harbor, these are just the most exquisite features one finds at the upper end of Shoreline Drive, an avenue that travels along the bay for miles, revealing one of the most scenic drives anywhere. Shoreline passes some of the most expensive real estate in Texas and leads to Texas A & M University, Corpus (situated on its own island) and, beyond that, Corpus Christi Naval Air Station. A freeway leaves Interstate 37 a few miles inland and cuts straight across the city towards the Gulf of Mexico. This thoroughfare is called South Padre Island Drive, a name that sometimes confuses travelers, especially those who may have been headed to the town of South Padre Island but made a wrong turn and wound up in Corpus. A number of shopping centers and two grand malls, La Palmera (formerly Padre-Staples Mall) and Sunrise, along with major outlets and local shops, line the freeway. Further on, the freeway passes over the Intracoastal Waterway and curves southwest onto North Padre Island. The City offers as much variety as a metropolis many times its size but is much more compact, with less traffic, making anything one might want to do only a few minutes away. In whatever direction one travels, along the Bayfront, down SPID, onto North Padre, or over the Harbor Bridge, there’s a plethora of things to see and do. Some of them are tourist attractions but many are year-round recreational and site-seeing opportunities that locals enjoy just as much as visitors do. There’s so many opportunities for adventure that a short introduction to Corpus Christi cannot do it justice. But one need not do anything at all but relax to appreciate the city. 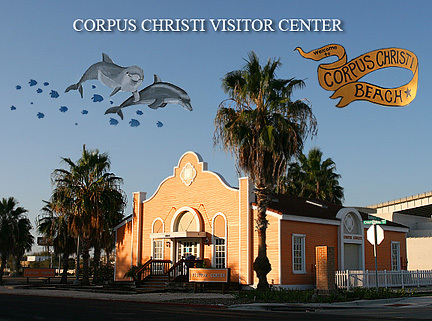 Corpus Christi is a beautiful city with friendly people and a welcoming atmosphere. It’s a city that’s easy to fall in love with and difficult to say goodbye to. Many people who visit return as often as they can. Quite often people who visit come back to stay. Corpus Christi, Texas, as close to paradise as one can get in the Lone Star State. Just go there… you’ll go back! Water Street Market - at the heart of Corpus Christi's downtown entertainment district is a popular oasis...the landmark Water Street Market. Stroll through the open-air courtyard and discover extraordinary shops and remarkable restaurants. No city offers a more unique variety of beach fun than Corpus, where two distinctly different beaches beckon sun worshipers. Corpus offers as much, or more, to do than one can find in a metropolis a dozen times its size.